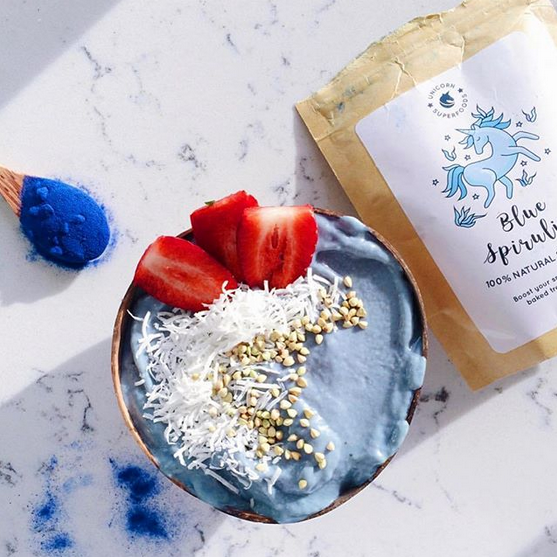 This tasteless blue organic Spirulina from Unicorn Superfoods makes your Smoothie Bowl not only a vitamin bomb but also a real eye-catcher! 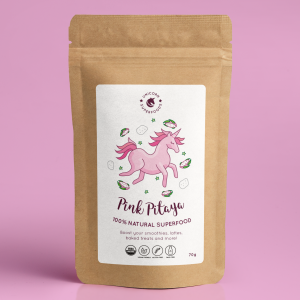 The Spirulina Alga powder gives any dish or drink a magical blue color and is also rich in vitamins such as B12, antioxidants, protein and minerals. Please note that our superfood powders are only available in combination with a coconut bowl. 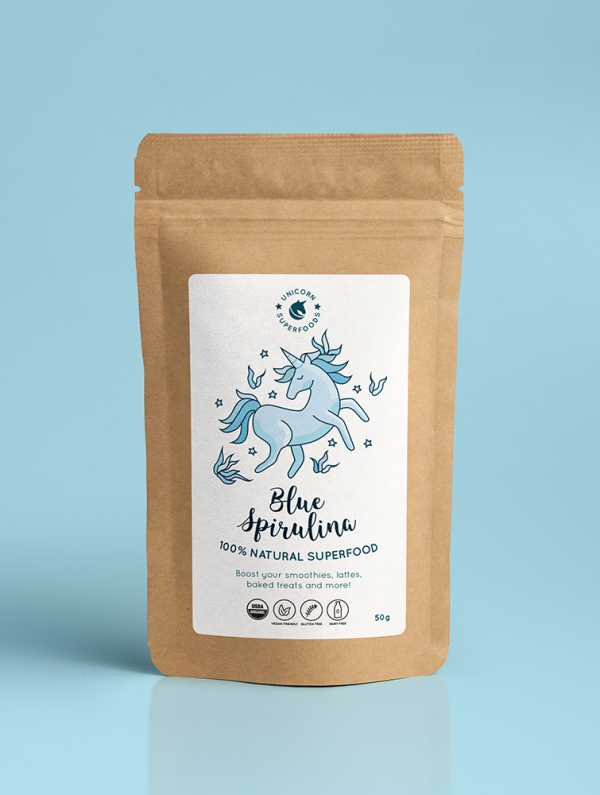 Blue Spirulina is an alga that grows in lakes, ponds and alkaline waters. The extraction of spirulina produces a blue pigment which gives the algae its dark blue colour. The advantage of blue spirulina is that, unlike green spirulina, it has no fishy taste. Another advantage is that this spirulina powder is very productive, a knife point is enough to give drinks and food a great blue color.